Need a new shoulder joint, a gun, or that tiny little part that fits inside your child’s toy? 3D printers have the potential to change our lives and make every person an inventor, a sculptor, or a chef. Guns. In 2013, self-declared “crypto-anarchist” Cody Wilson designed, created, and printed a plastic gun via 3D printing technology. Cody fired a shot and distributed the CAD files for the gun over the Internet. There were more than 100,000 downloads before the U.S. government closed the site. In May 2014, Yoshitomo Imura was arrested in Japan of possession of five 3D printed guns. Body Parts. According to a 2013 report by TIME magazine, 3D printers are already carving out body parts like ears and noses from body cells. While early stage, the technology is promising for cosmetic and plastic surgery. Food. The Massachusetts Institute of Technology has developed a 3D printer for food called “Cornucopia,” and the French Culinary Institute has been using the Cornell-developed FabatHome for food preparation. Perhaps the space-age food replicators depicted in the “Star Trek” are not as far in the future as we might think. Forensics & Archaeology. In the television show “CSI:New York,” 3D printing is used to replicate a bullet inside a body to avoid surgery. Archaeologists can replicate fragile artifacts for study without damaging the original priceless objects. For example, visitors to the Discovery Time Square King Tut Exposition were able to see an almost identical 3D printed replica of the mummy by the company Materialise. Michelangelo once explained that every block of stone has a statue in it, and it is the task of the sculpture to discover it. Once the artist understands the three-dimensional image he seeks, his task is to carefully chip away the extraneous material to reveal the hidden structure. If Michelangelo had been able to use a 3D printer, his creative process would had been exactly the opposite: starting with nothing and gradually creating his mental image by adding substance until the form he sought was complete. The term “3D printing” is a misnomer, as there is little similarity to two-dimensional printing whereby ink is applied to paper. However, the process is similar to printing in that the result is the accumulation of different layers of materials laid down sequentially in different shapes to create a solid three-dimensional object. A more accurate description would be “additive manufacturing,” a different method of creating than traditional manufacturing which is based upon the removal of solid material from a larger unformed mass. The process begins with a computer aided design (CAD) or a 3D scanner to translate a model into digital, three-dimensional measurements. Using the selected material (liquid, powder, paper, or sheet material), multiple thin layers are put into place and fused by heating, curing, centering, lamination, or photo polymerization to make a single unified object. Technology Process Identified. There are presently 33 different processes used in 3D printing, ranging from fused deposition modeling (FDM) – a process of heating thermoplastic materials to a semi-liquid states, then extruding it layer by layer along a computer-controlled path – to stereolithography, a process where an ultraviolet laser hardens a layer of liquid photopolymer as it is raised or lowered by a platform immersed in a tank of liquid polymer similar to applying coat after coat of paint until the multiple layers result in the finished part. Materials Specified in the Patent. Thus far, the issued patents cover 45 different materials including ceramics, clay, palladium, paper, rubber, silver, titanium, and wax. Use or Application. At last count, there were at least 22 commercial applications of 3D printing, including the construction, defense, and food industries. Many industry observers claim that the lack of penetration into mass markets to date has been due to the extensive patents by different companies and the likelihood of intellectual property lawsuits. Simply stated, companies have not spent the resources to exploit the technology because they are afraid of being sued. This barrier to competition has kept new entrants out of the market and prices high; too high, in fact, to support mass market consumer applications. With many of the patents covering basic technology having expired in 2013 and more to expire in 2014 and 2015, there is likely to be an explosion of new products and a reduction in equipment pricing similar to the declines in other electronic hardware such as televisions, computers, and mobile phones. The lower prices will provide access to consumers on a broad basis for the first time. 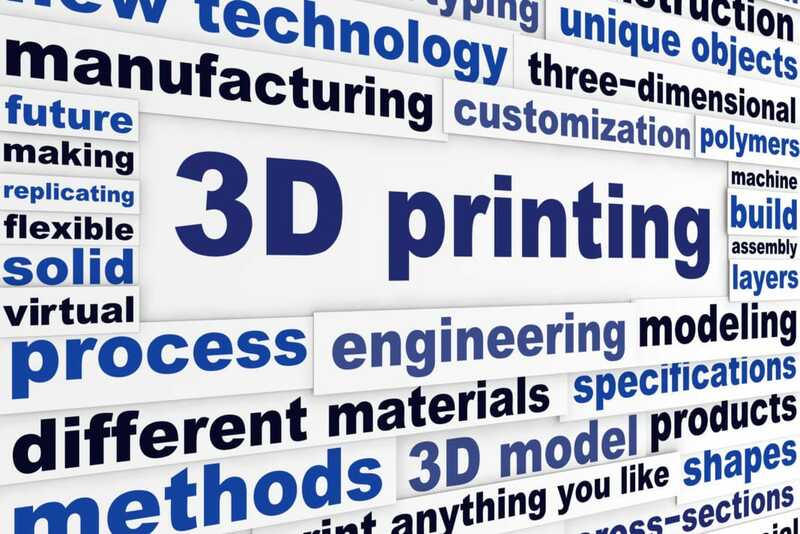 According to Pete Basiliere, lead Gartner analyst of 3D printing, a compelling consumer application – something that can only be created at home by a 3D printer – will appear by 2016 and have a similar impact on 3D printers as the spreadsheet for the PC or the addition of a camera to a mobile phone. 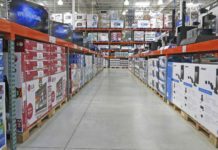 A report by Gridlogics Technologies projects that the technology will become a mass market item because it will enable consumers to replace or create common household objects that are now produced with traditional manufacturing methods and include the associated costs of marketing, logistics, and inventory maintenance. 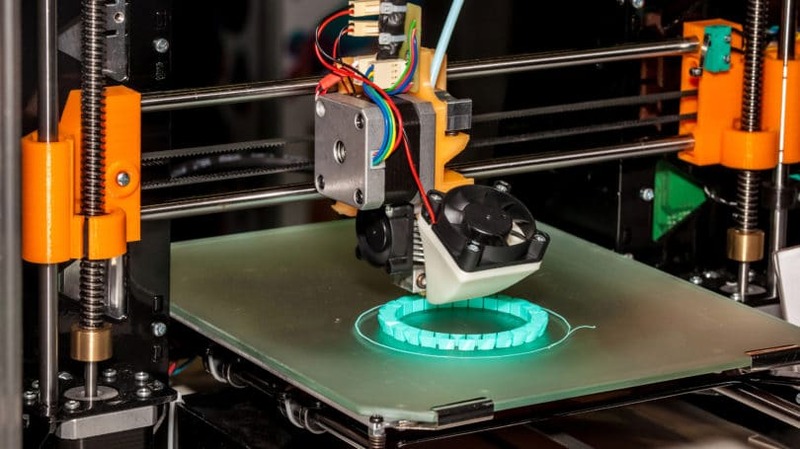 Charles W. Hull, the creator of the first 3D printer in the mid-1980s and the co-founder and chief technology officer of 3D Systems, predicts the industry will be a $4.5 billion business by the end of this decade. The future uses of 3D printing are still being discovered. The following are just some of the current applications currently under way that are likely to be in general use first. According to CNN, 3D printers are already being used by researchers to print tiny strips of organ tissue (bioprinting), as well as facial appendages (ears and noses). Printed organs such as a kidney or liver – the next stage in the evolution of the technology – could be used initially for drug and vaccine testing and ultimately produce much-needed organs for transplants. Washington University students developed a prosthetic arm for a 13-year-old girl who had lost her limb in a boating accident. While not as advanced as other prosthetics, the cost of $200 for materials was substantially below the $6,000 cost of similar devices, a factor that precludes widespread application in many companies. Kylie Wicker of Rockland, Illinois, born without fingers on her left hand, received an operating set of plastic 3D printed fingers for a cost of $5 and designed by a high school engineering class. A Canadian professor is working on a 3D printing process to make prosthetic limbs to be sent to Uganda for victims of their persistent civil wars. Fashion has utilized 3D printing to create visually stunning dresses and accessories presented on the runways of New York Fashion Week 2013, as well as a unique “smoke” dress unveiled at the 2013 Frankfurt International Motor Show. The smoke dress automatically creates a veil of smoke whenever someone steps in the personal space of the wearer. Lady Gaga wore the world’s first flying dress, Volantis, another 3D printed dress, at the 2013 ArtRave. Continuum offers the world’s first ready-to-wear, completely 3D printed bikini, the N12, named for the material from which its made: Nylon 12. Oxfam International, an international confederation of 17 organizations working to find practical, innovative ways for people to lift themselves out of poverty, teamed with MyMiniFactory.com to develop innovative designs to solve the problems of water hygiene in Third World countries. Designs can be quickly printed, tested, and modified before moving them into mass production. While it is still early in the process, sponsors believe the rapid testing of new devices and subsequent modifications possible with 3D printing will prove successful in such humanitarian projects as hand sanitation devices for the current 2.4 million Syrian refugees living in crowded, unsanitary conditions. Italian inventor Enrico Dini has developed a 3D printer, known as the D-Shape, which binds sand particles together to create sedimentary stone. The printer is said to allow the construction of a building four times faster than conventional means for half of the cost. The Urbee, a hybrid automobile designed by Kor Ecologic, is a two-seater that gets up to 200 miles per gallon with an estimated cost around $20,000, and is entirely manufactured by 3D printing. 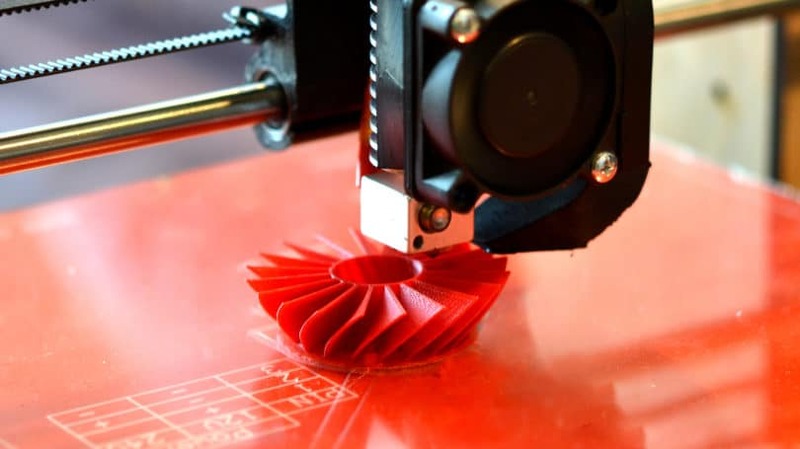 People will be able to print custom jewelry, household goods, toys, and tools to whatever size, shape, or color they want, as well as be able to print replacement parts at home, rather than ordering them and waiting for them to be delivered. According to research firm Strategy Analytics, home 3D printing could evolve into a $70 billion industry per year by 2030. 3D printers for food may even finally solve the problem of getting children to eat their vegetables, as parents will have the ability to mold them into all kinds of shapes. Perhaps a finicky toddler could be convinced to eat Brussels sprouts if they were prepared in the shape of a dinosaur. While the promise of 3D printers is substantial, there are equally significant obstacles to be overcome before it reaches the expectations of industry proponents. 3D printers selling for less than $1,000 have limited capability, can be difficult to operate, may be unreliable, and may require hand assembly to use. While these defects will be eventually overcome, it may take considerable trial-and-error and time before an affordable consumer model is available. A 2013 article in strategy + business notes that “regardless of how cheap a 3D printer becomes, a manufacturing plant will continue to offer scale economies in the raw materials for printing the artifact.” The article also questions whether a consumer will use a 3D printer at home to make a plastic fork or chess piece if he or she can buy it from the local Walmart. Printers that are currently available at consumer prices ($2,500 and less) rely upon fused deposition modeling technology and PLA and ABS plastics. This material is not sturdy and is limited in usability. Experts believe the next generation will need to utilize carbon composites and metals if it is to be useful to the average consumer. While downloadable files for different objects are available from sites like Thingiverse and Shapeways, they are generally technical and may not be compatible with every 3D printer. Because of the marketing hype surrounding the printers, they may be depicted as easier to operate than the experience of actual users. Tom Meeks, a contributor to the 3D Printer Users blog, notes the parallel between 3D printers and the Keurig coffeemakers system and the importance of consumer design and ease of use, noting that it took Keurig 16 years to gain the market acceptance it has today. And it should be recognized that there are a lot more coffee drinkers than potential 3D printer users. Marketing experts believe that the printers must be as simple to operate as conventional laser or dot matrix printers if they are to find wide acceptance. While perfect for one-of-a-kind or complicated, expensive objects, the printers are too slow for mass manufacturing. The materials used and their emissions during use, especially powders, can be messy and potentially toxic. Finally, current 3D printers using PLA plastic operate at very high temperatures (220 to 230 degrees). While these problems are not insurmountable, they will take time and investment to overcome. Whether 3D printers will have the impact of the television, computer, or mobile phone as expected by its advocates is unknown. As the technology evolves, the possibilities and benefits are endless. It is certainly a technology that an astute consumer would be cognizant and ready to use as it matures and becomes a consumer product. What do you think? Are you interested in owning a 3D printer?